I can see the argument that dicking around with our phones in public is not cool, that we should pay more attention to our companions and surroundings, and less to our computer displays. Strapping a computer display to your face is not the answer. Thirty-odd years after I worked in a discount department store, I am happy to learn that the checkout area in such establishments is still called “the front end.” Supermarkets likewise. Many thanks for the persimmons. These meant more to me than you can imagine. I have far more things to eat and far more things to drink than are good for me. I indulge in abstemious spells merely to keep my balance. Wild persimmons make one feel like a hungry man in the woods. As I ate them, I thought of opossums and birds, and the antique Japanese prints in black and white, in which monkeys are eating persimmons in bare trees. There is nothing more desolate than a persimmon tree, with the old ripe fruit hanging on it. As you see, there is such a thing as being a spiritual epicure. Collected Poetry and Prose, ed. Frank Kermode and Joan Richardson (New York: Library of America, 1997). Status hierarchies carry special costs in university life. For most faculty, one of the main motivations for choosing an academic career, and one of its main satisfactions, is intellectual freedom. Professors value having control over their own time, agendas, and priorities. Yet that freedom is diminished when the pursuit of prestige becomes controlling. Moreover, because academic recognition is to some extent a relative good, a large percentage of the profession is bound to come up short. . . . The solutions are obvious in principle and elusive in practice. The fundamental challenge is for academics to stay focused on their own values, and to make the best use of their abilities in the service of goals that they find most meaningful. Rewards can come from many sources, and not all of them register prominently on the conventional pecking order. Harvard philosopher William James once claimed that “to give up pretensions is as blessed a relief as to get them gratified.” Whether or not the satisfactions are truly equivalent, letting go of certain status needs is often far preferable to the alternative. In Pursuit of Knowledge: Scholars, Status, and Academic Culture (Stanford: Stanford University Press, 2006). It is of course easier to feel free to agree with Rhode if one has tenure. 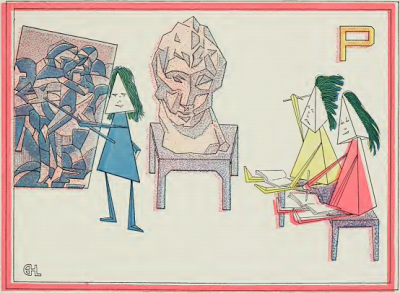 —P’s for Picasso, Picabia and Party. March 1: The Cubies’ A B C has been reprinted. Two reports on the Morgan Library’s Swann’s Way celebration: The Sweet Troubles of Proust (New York Review of Books), In Search Of Proust, No Cookies (Wall Street Journal). While teaching some Marianne Moore poems, I invited students to write, if they wanted to (and they did), a two-stanza comment on Moore’s “Poetry,” using the stanza form of another Moore poem, “The Fish.” That five-line stanzas of that poem are organized by a rhyme scheme, AABBC, and a syllable count: one, three, nine, six, eight. Why? Because. 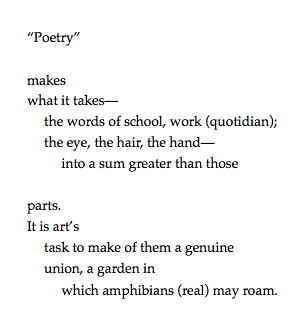 I think of Moore’s singular designs in relation to William Carlos Williams’s contention that the poet creates “new forms as additions to nature,” marvelous constructions that take their places among the things of the world. Did amphibian inspire quotidian? Or vice versa? There’s no knowing. Barnes & Noble, the nation’s largest book chain, warned that when it reports fiscal 2013 third-quarter results on Thursday, losses in its Nook Media division — which includes sales of e-books and devices — will be greater than the year before and that the unit’s revenue for all of fiscal 2013 would be far below projections it gave of $3 billion. The problem was not so much the extent of the losses, but what the losses might signal: that the digital approach that Barnes & Noble has been heavily investing in as its future for the last several years has essentially run its course. Yes, this post is the third Hi and Lois post in four days. But you know what Dr. Johnson said: “When a man is tired of Hi and Lois, he is tired of life.” Although it is true that he spoke in the earliest years of this long-running strip. 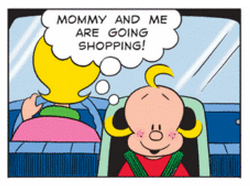 In 2008, I noticed that Trixie was riding in the front seat of the Flagston family car. Ever since I’ve kept an eye out for Hi-Lo incongruities and mishaps. In 2010, Trixie was stashed in the back of the family’s station wagon. So I feel honor-bound to note that today Trixie rides safely in a car seat. I suppose that RU Post-it is a twenty-first use for a Post-it Note. Thanks, Rob, for passing on this story. It’s not what you might expect though. There are 7,241 broken pencil sharpeners in the town of Point Pleasant. If the town has 557 repair centers, can they divide the repairs equally? Show your work. Brooklyn wouldn’t be Brooklyn without Kentile Floors. February 24: As Pete Lit points out in a comment, there’s a Kentile sign in Chicago. Who knew? Not me. Chicago’s Harper High School is the subject of two episodes of This American Life. The toll of gun violence from the 2011–2012 school year: twenty-nine current and former students shot; twenty-one wounded, eight killed. Separated at birth? 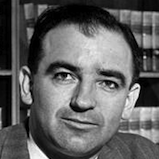 Ted Cruz’s resemblance to Joseph McCarthy deepens. Now with allegations of Communists at Harvard Law School. ¹No, you don’t, not really. I’d like to know something about the hand that made this lovely piece of commercial art. It appears under the heading “A Chorus of Praise” in an advertisement for AC Spark Plugs. The tiny lettering in the lower left corner appears to be the artist’s name, Allaway. It took two trips to the library, the second with a loupe, to figure that out. Thanks, library. Thanks, loupe. I’ve been unable though to find out anything about the artist. 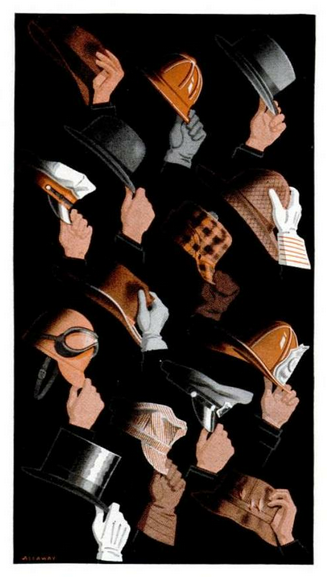 How many hat-and-glove pairings in this picture signify specific occupations? I see nine before starting to guess. You? Here’s a law firm that won’t hire anyone, for any position, who doesn’t have a college degree. Even the $10-an-hour courier has a bachelor’s. In the Flagston household, as in Washington, there are Cabinet (or cabinet) changes. But in the Flagston household, they’re all in a day’s work. This label fragment, bearing my daughter Rachel’s inscription, at long last fell away from the videotape it once identified as KIDSONGS. Now this fragment lives on my desk, a scrap of fambly papyrus. “A writer is unfair to himself when he is unable to be hard on himself”: Marianne Moore, in a 1961 Paris Review interview. 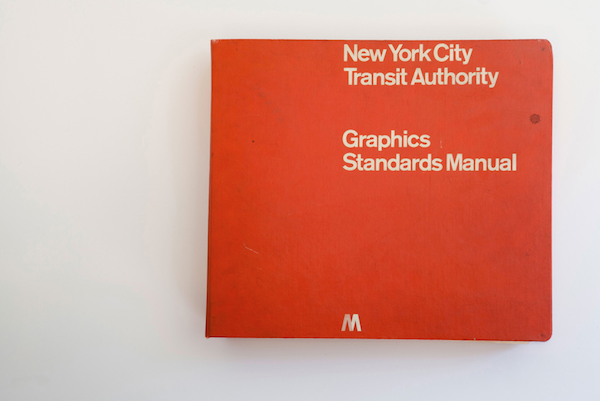 “This site is dedicated to serve as an archival record of a first edition NYCTA Graphics Standards Manual designed by Massimo Vignelli of Unimark International.The manual was found in a locker beneath old gym clothes”: New York City Transit Authority Graphics Standards Manual (via Coudal). One night, at a party at Jack Lemmon’s house, Gene Kelly walked over to me and inquired if I knew where he could get a print of Singin’ in the Rain. He wanted to run the film for one of his kids who had never seen it. Mel Tormé, It Wasn’t All Velvet (New York: Viking, 1988). My dad put me onto this book. He suspects that I am becoming a Tormé fan. Could be. Presto change-o, Tazo Has Tazo changed its Awake tea? Now with an answer by e-mail. I’m not sure whether removing the curlicues makes the statement more Kingsfieldian, or less so. What do you think? Yes, Mr. Hart? On Frontline: Raising Adam Lanza. See also this story from the Hartford Courant. At the Morgan Library & Museum, a celebration of Marcel Proust’s Du côté de chez Swann, a century old this year. Here’s a New York Times review. I wish I could go. But I’m grateful beyond words to have had this experience a few years ago. Tazo Awake was an esteemed brand in our chambers (read kitchen, living room, study). The tea was recently repackaged as Tazo Awake English Breakfast, or as the box would have it, “awake english breakfast.” The 2.0 packaging lacks the Indian design elements and dowdy typography of the old, but it’s acceptable. The problem is that what’s inside has changed. Awake English Breakfast is not Awake. I’m offering that assertion as a fact, even after calling Tazo and hearing a friendly fellow tell me — after putting me on hold to check — that the Awake blend has remained the same. It hasn’t. The old Awake was a distinctive tea: its instantly recognizable flavor came from a blend of Assam and Ceylon leaves. Awake English Breakfast tastes like any other English Breakfast tea. It’s an adequate black tea. But there’s nothing distinctive about it, and there’s no reason to continue to pay more for it. My tea-drinking wife Elaine also notices the difference. And we are not alone: of the thirteen reviews on this Tazo page, eleven note that the tea has changed for the worse. As for the other two reviews, one appears to be of the old Awake, and one appears to be from a tea-drinker who is unaware of the change. Tazo, if you’re reading, please bring back the old Awake. If Coca-Cola can own up to a mistake, you can too. February 20: An e-mail from Tazo says that the blend remains unchanged. But it just ain’t so. Have you ever heard the theme from The Mary Tyler Moore Show in its entirety? Here, listen. That second verse: sheesh. So much for women’s rights. 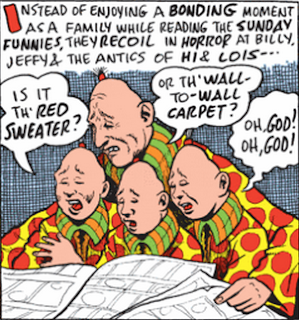 Bill Griffith’s affection for Bil Keane’s The Family Circus is well known. 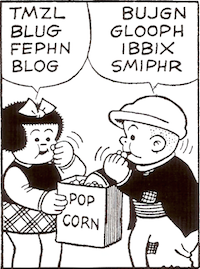 Since the residents of Dingburg’s “humorless enclave” recoil in horror from that strip, it would seem that Griffith must like Hi and Lois too. Another bit of language from tonight’s Downton Abbey: Mrs. Patmore spoke of how her suitor, Mr. Tufton, was only interested in her for her cooking. He would go on and on, she said, about how he liked his pancakes flipped. No double entendres here: Mrs. Patmore was speaking literally. trans. orig. and chiefly U.S. To cook by turning over on a hotplate, grill, or griddle, esp. as a job in a fast-food restaurant. Chiefly in to flip burgers. As with last week’s stuff, American English leads the way. I hadn’t planned to make two such posts in one day. 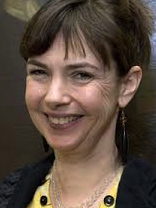 Elaine and I thought that had to be Harriet Sansom Harris (Frasier Crane’s crafty agent Bebe Glazer on Frasier) playing Susan MacClare, Marchioness of Flintshire, in tonight’s Downton Abbey. But no. Tonight’s show was a Christmas Special. Some Special. I have come to think of Julian Fellowes’s screenplays as bowling balls. The characters are the pins. The resemblance of junior senator to junior senator is more than rhetorical. 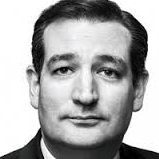 It’s the curling lower lip that does it. I’ve noticed lately that many readers are leaving two or three versions of a comment. The second and third tries don’t seem to be matters of rethinking things: rather, they suggest that the commenter is uncertain about whether a comment has gone through, or stuck, or whatever the appropriate metaphor might be. Notice the (easy-to-miss) text that appears at the top of the page after you leave a comment: “Your comment has been saved and will be visible after blog owner approval.” Comments don’t disappear; there’s no need to repost them. I suppose that this paragraph, like Blogger’s message, is also easily missed. Reader, keep the comments coming, please. But you can save yourself some tedium if you remember: once is enough. Strange to attend a concert and be exhorted from the stage to “keep your talking to a minimum.” I was prepared to sit and listen and not talk at all. Which I did anyway. 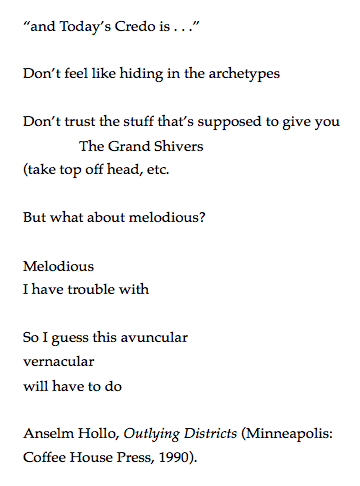 From a page I made to accompany Marianne Moore’s poem “The Mind Is an Enchanting Thing.” I hope you agree that this paragraph is more fun than an anthology’s footnotes. C+ lawsuit continues It’s over. 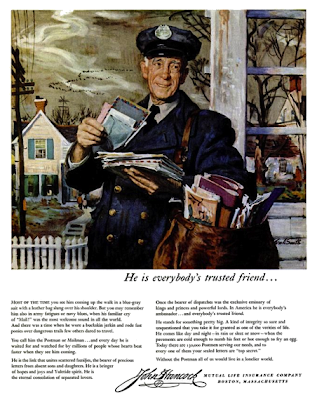 Saving the post office Now with a link to a Washington Post piece on social media and the mail. “If they don’t find a way to make the postal system more essential to people’s lives, there is only one direction this thing can go”: Tucker Nichols explains why he is campaigning to save the post office. 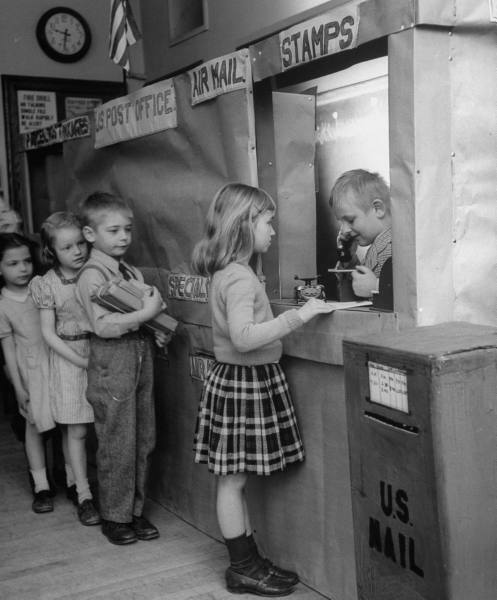 February 15: From the Washington Post: Will social media help save the Postal Service and Saturday delivery? Says the judge, “I remain unconvinced the judiciary should be injecting itself in the academic process.” But the case goes on. At Submitted for Your Perusal, Matt Thomas writes about the on-screen representation of “what is often referred to as knowledge work”: Zoe’s Desk. “Seventy years later I’m still in a daze”: cdza presents Our Wedding Song, four couples and their songs. Take a tissue or two. That’s from the Naked City episode “Go Fight City Hall,” first aired October 31, 1962. Forty episodes from the series (though not this one) are now available in a ten-DVD set. Amazon has it for $24.99. A former graduate student is suing the school where she received a C+ in a class. The damages asked: $1.3 million. And here’s more. In other news, the Edwin Mellen Press and its founder are suing a blogging librarian and the university that employs him. The damages asked: $4.55 million. This news is sure to endear the Edwin Mellen Press to university librarians everywhere. Thanks, Sara, for the C+ story. Used loosely to denote any collection of things about which one is not able or willing to particularize . . . ; material, matter, business. colloq. Take a look at S. M. Brown, Chief on the Mauretania, “doing his stuff” in the saloon. I can’t imagine that the influx of stuff in this episode is just coincidence: it’s one sign among many that the world is changing. More specifically, how to get a perfect score on a final examination without taking it (Inside Higher Ed). I’ll say what no one commenting on the article has said: the organizers should be ashamed of themselves, as should those who went along. Here’s a later post that explains why these students should not have received 100s. 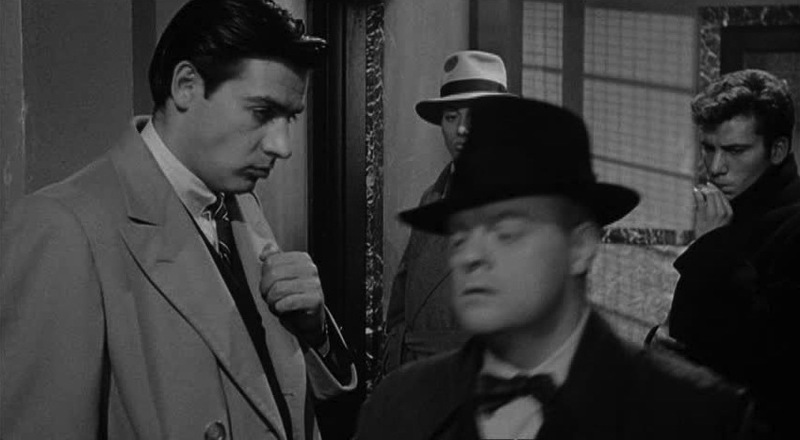 In this scene from Mad Dog Coll (dir. 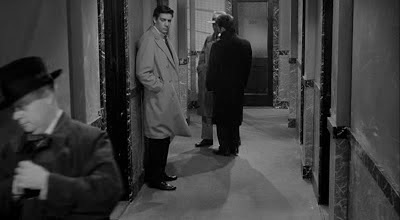 Burt Balaban, 1961), who’s that walking down the hallway? Is it Truman Capote? Well, is it? 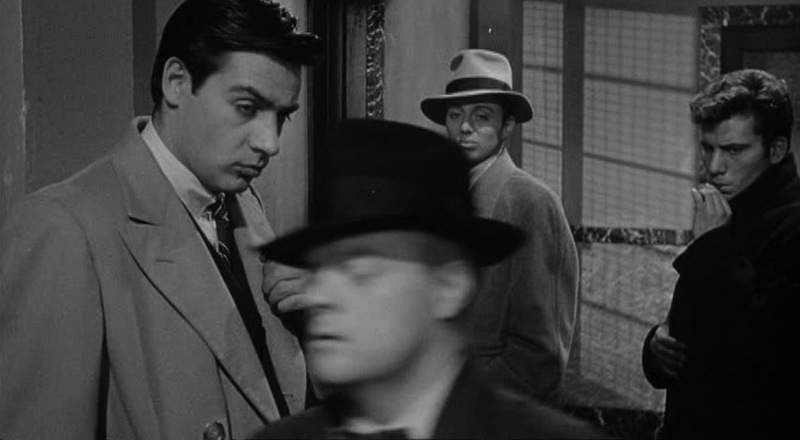 Several IMDb readers also have wondered about the identity of this passerby. Jerry Orbach, John Davis Chandler, and Neil Nephew look like they’re wondering too. At Contrapuntalism, Sean penetrates the mystery of Eberhard Faber’s Diamond Star logo: Just what does the Diamond Star logo mean? I too have wondered about that Diamond Star. The capital-T Truth is about life before death. It is about making it to thirty, or maybe even fifty, without wanting to shoot yourself in the head. The absence of the “terrible master” sentence has been widely understood as an attempt to moderate the tone of a passage that seems to point to Wallace’s suicide. But there is a less conspiracy-minded explanation: Wallace’s publisher used the written text of the address, which would seem to mean that the missing-from-print sentence was an impromptu addition. The missing-from-audio sentence would seem then an impromptu deletion from the written text. et cetera, et cetera, cutting stuff out because this is a long ceremony. Elizabeth Lopatto explains how David Foster Wallace’s 2005 Kenyon College commencement address became an Internet sensation: Everlasting Speech. You can still find a transcription of the speech online — here, for instance. By the postwar period, telephone exchanges that spelled pronounceable words were starting to be exhausted. All-digit dialing would create a cache of new phone numbers, but whether users could memorize the seven digits it entailed was an open question. Mr. Karlin’s experimental research, reported in the popular press, showed that they could. As a result, PEnnsylvania and BUtterfield — the stuff of song and story — began to slip away. By the 1960s, those exchanges, along with DRexel, FLeetwood, SWinburne and scores of others just as evocative, had all but disappeared. Here at Orange Crate Art, telephone exchange names are a minor but, it appears, permanent preoccupation. Thus this post. Paul Tanner, a former trombonist for the Glenn Miller Ochestra who played an unlikely role in the history of rock ’n’ roll when, using a device he helped invent, he performed the famous electronic accompaniment on the Beach Boys’ signature recording “Good Vibrations,” died on Tuesday in Carlsbad, Calif. 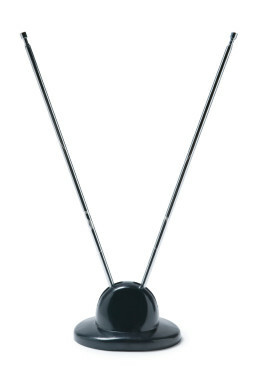 The Beach Boys’ Mike Love called that device, the Electro-Theremin, a “woo-woo machine.” But it is better known as the Tannerin. Correction, thanks to Andrew Hickey: Mike Love played a synthesizer, not a Tannerin. OS X’s Dictation service is for me both boon and bane. It makes the work of transcribing passages from books wonderfully easy. But the ease is illusory, for improbable, unforeseeable mistakes creep in. And because I cannot anticipate my Mac’s mishearings, the products of Dictation require more careful proofreading than typed text. Making a page to go with Langston Hughes’s 1951 poem Montage of a Dream Deferred, I tried to get Dictation to recognize boogie-woogie. Some results: boogie-boogie, boogie-looking, boogie-wiki, boogie-Woodkey, Boogie-Woody (almost a Beach Boys title), Boogie-Wookie, okay-Wookie, the de-wiki. Yes, I kept trying out of curiosity. My favorite: boogie-what. The trick to getting it right: not speaking the hyphen. Dictation might be smarter than I thought. A helpful page for anyone working with Dictation: Mac Basics: Dictation. Sixty-three MBA applicants at Penn State and UCLA have been rejected after admissions officials discovered they had plagiarized parts of their admissions essays, a number that the schools say is likely to increase in subsequent application rounds. In February 2011, twenty-nine applicants to Penn State’s MBA program were found to have plagiarized in their application essays. In February 2012, a dozen applicants to UCLA’s Anderson School of Management were found to have done the same. MBA programs could do our culture and economy a favor by sharing miscreants’ names across institutions. Students who cheat when the stakes are so high have, I would say, no business getting MBAs (or any other professional degrees). Think of the disregard for integrity such students would carry into their careers. 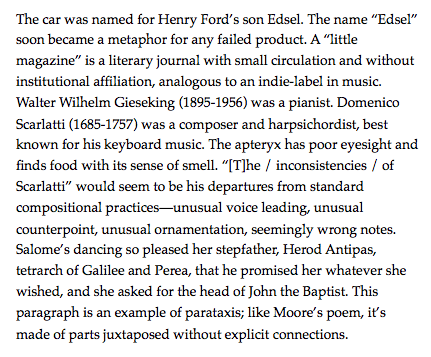 I missed this one: the venerable name Muzak will give way to Mood. Thanks, Adair, for passing on the news. In my college years, I absorbed thousands of hours of Muzak while working as a stock clerk in a Two Guys discount department store. Yes, I had the Muzak in me. What I remember of it: trombones. Every song seemed to have a trombone front and center. The programming intensified the loneliness of our shabby housewares department. Slow stuff: it fit. Peppy stuff: ah, ironic. Listening to Muzak, late on, say, a Friday night, straightening up a badly-lit, customer-free aisle of ironing boards and clothespins and clothespin bags: no wonder I fancied myself an existentialist. He is everybody’s trusted friend . . . Most of the time you see him coming up the walk in a blue-gray suit with a leather bag slung over his shoulder. 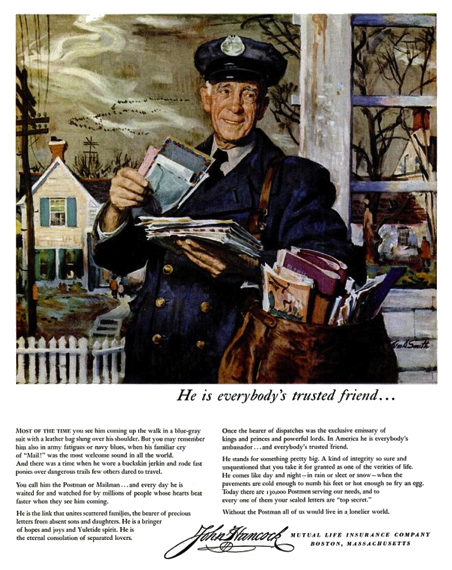 But you may remember him also in army fatigues or navy blues, when his familiar cry of “Mail!” was the most welcome sound in all the world. And there was a time when he wore a buckskin jerkin and rode fast ponies over dangerous trails few others dared to travel. You call him the Postman or Mailman . . . and every day he is waited for and watched for by millions of people whose hearts beat faster when they see him coming. He is the link that unites scattered families, the bearer of precious letters from absent sons and daughters. He is a bringer of hopes and joys and Yuletide spirit. He is the eternal consolation of separated lovers. Once the bearer of dispatches was the exclusive emissary of kings and princes and powerful lords. In America he is everybody’s ambassador . . . and everybody’s trusted friend. Without the Postman all of us would live in a lonelier world. Reader, do you know your mail carrier’s full name? The Postal Service is expected to announce on Wednesday morning that it will stop delivering letters and other mail on Saturdays, but continue to handle packages, a move the financially struggling agency said would save about $2 billion annually as it looks for ways to cut cost. As Utnapishtim said, “There is no permanence.” This change feels to me like a very big deal, but I imagine that I will adjust in no time. What did surprise you about 56 Up? Well, that people seemed happy. I mean, I thought they’d be getting depressed, worried about age, very worried about the economic climate, looking back on their lives, maybe sometimes with regret. But no, I mean, what was so interesting to me was that, you know, that a lot of them had found real kind of comfort in their families and their extended families. I was of the belief in my life that you can’t have everything, you know, that I have pursued a career, I was ambitious, and I paid a price for it. I wasn’t as good a father or a husband as I should have been. And sometimes I thought, well, maybe that’s my way, and maybe that’s the right way. But then I saw the payoff, that people who’d put their energies into their families and their loyalties into their families, that at this age, in their mid-fifties, you know, they’ve got real pleasure and power from it. Pleasure and power? I don’t really know what that means. Pleasure and sustenance? Yes. 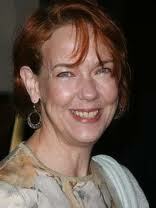 Gross goes on to ask whether the film’s subjects are really happy or just saying so for the camera. Sigh. There is a reference to “boxes of Blackwing pencils” from White’s office in Martha White’s introduction to In the Words of E. B. White (2011). That’s one ungainly sentence. Notice the long chain of prepositional phrases: to boxes, of Blackwing pencils, from White’s office, in Martha White’s introduction. The sequence from White’s office in Martha White’s introduction is especially clumsy. (It must have been a small office.) Embedding the book title’s two prepositional phrases in yet another prepositional phrase adds a final awkward touch. What I think happened here: having taken a quick look at the book, I was concerned more with getting the data in one place — the quotation, the writer’s name, the book’s part and title, the date of publication — than with writing a good sentence. 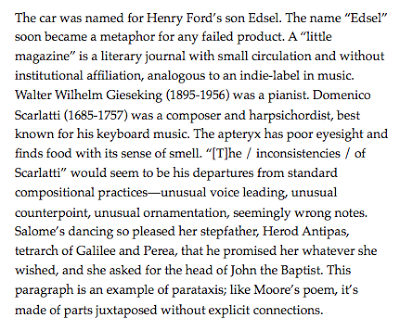 In Martha White’s introduction to In the Words of E. B. White (2011), there is a reference to “boxes of Blackwing pencils” from White’s office. Martha White’s introduction to In the Words of E. B. White (2011) mentions “boxes of Blackwing pencils” from White’s office. Much better. Notice that dropping is and a reference means fewer prepositional phrases. Minus the two of the title, the sentence drops from five to three, and from twenty-five words to twenty. This rewriting stuff, it really works. I’m reminded of the Dashiell Hammett story in which the Continental Op looks at a sign in a bar — “ONLY GENUINE PRE-WAR AMERICAN AND BRITISH WHISKEYS SERVED HERE” — and begins to count the lies. No, Steinbeck, White, and Wolfe never sang the praises of the Palomino Blackwing, because they lived and died before that pencil came into production. To claim that these writers sang the praises of a Palomino product is equivalent to claiming that Blind Boy Fuller sang the praises of my National guitar. No, because my guitar is a replica. And so is the Palomino Blackwing. California Cedar has chosen, again and again, to promote its products by invoking the names of prominent people, among them Duke Ellington, John Lennon, and Frank Lloyd Wright, all of whom lived and died before the Palomino Blackwing and thus could never have used that pencil. What’s more, there is no evidence that Ellington or Lennon or Wright had any particular allegiance to the original Blackwing. (Nor to my knowledge is there evidence that White sang the praises of the original Blackwing.) Facts are stubborn things, as someone once said. California Cedar: What’s going on? 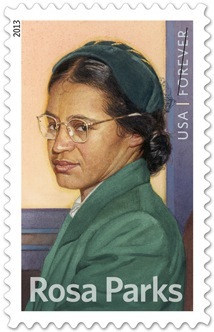 The United States Postal Service honors Rosa Parks, born February 4, 1913. Also in the news: because of a conflict between relatives and executors, Parks’s archives sit in a Manhattan warehouse, unavailable to scholars: The Rosa Parks Papers (Religion & Ethics Newsweekly). Mad Dog Coll (dir. 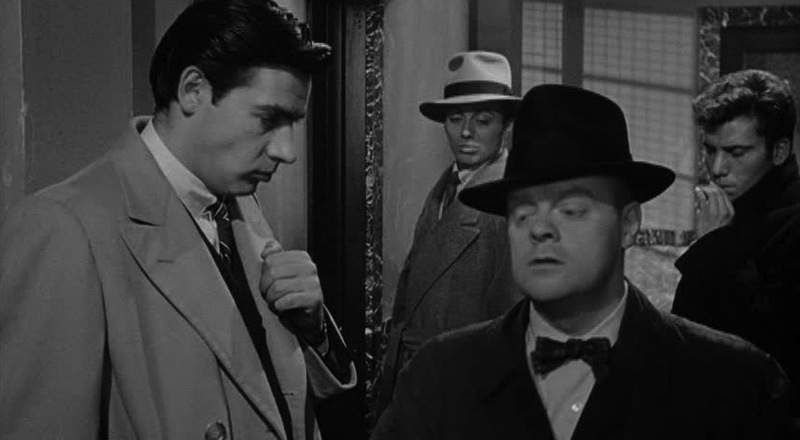 Burt Balaban, 1961) is a magnificently lurid crime story. Abusive father: check. Sexual inadequacy: check. Phallic weaponry: check. (Mad Dog carries a machine gun as you or I might carry a wallet.) Unattainable woman with some class: check. (She plays the violin.) Available woman with less class: check. (She’s a, uh, dancer.) Increasingly bold and dangerous criminal schemes: check, and checkmate. With Brooke Hayward, Jerry Orbach, Telly Savalas, and Vincent Gardenia as Dutch Schultz. A special treat: seeing James Greene (Davey McQuinn of The Days and Nights of Molly Dodd, Councilman Milton of Parks and Recreation) as a hit man. Good call, Elaine.